Impact! 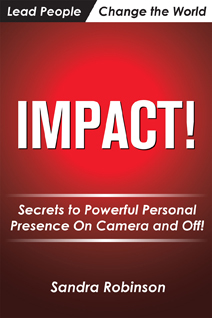 Secrets to Powerful Personal Presence on Camera and off! Discover the insights and exercises that I use to take top experts to even greater levels of success! Empowerment starts on the inside and exudes outward for all to see – and follow. My book Impact! shares the secrets of how anyone can create a following and get others to take the actions you want them to take by cultivating a more powerful personal presence. I’ll walk you through crafting a story that connects with others, preparing yourself mentally and physically anytime you have to “perform”, harnessing your passion to confidently step out of your comfort zone and tapping into the natural gifts that make you uniquely impactful. These are the same eye-opening approaches that I take during seminars and one-on-one training with CEOs, authors, entrepreneurs, doctors and established actors. Present your business, your product and yourself more confidently to take control over how much you achieve! BOOK BONUS: You’ll also get a presentation checklist that provides a blueprint with everything you need to succeed whether you’re on stage or on camera. What Others Are Saying About Impact . . .
Social media can be one of the most versatile tools in an entrepreneur’s toolbox, but are you using it to its full potential? 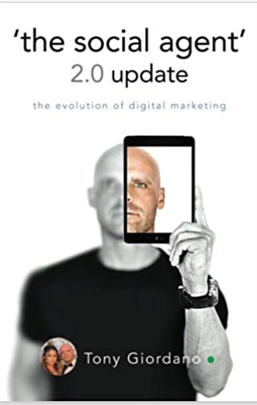 With the help of celebrity agent, businessman, international best-selling author, speaker, and social media marketing expert Tony Giordano, you can use multiple social media websites to research new clients, prospect, build relationships, generate leads, and create brand awareness. Giordano shares tips and techniques for website SEO, Facebook, Instagram, Google, YouTube, LinkedIn, Twitter, Pinterest, WhatsApp, WeChat, Snapchat, and much more. Are you ready to live your life on purpose and with passion? Are you living consciously? Are you Awake, Aware and Alive, living the life you love? The most sought after commodity on earth is to be happy, healthy, wealthy and living the life you love with PEACE OF MIND. The stories in this book reveal some of the secrets to having it all. 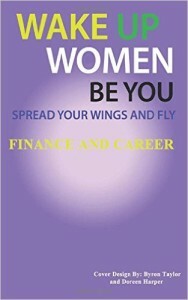 If you are ready to BE YOU, spread your wings and fly into the life you love, then this book is for you! The secrets to success have been passed down from generation to generation but have you ever wondered if you are in a generation that was skipped. These secrets were designed to enable you to attract money, power and love automatically. These scrupulously-guarded secrets have enabled humanity to achieve incredible wealth and prosperity. When you discover these secrets, some of which have been shared inside this book, you will begin to be like a moth to a flame as you unfold the blueprint for your financial success. Sandra is one of many recognizable contributors to this wonderful project. 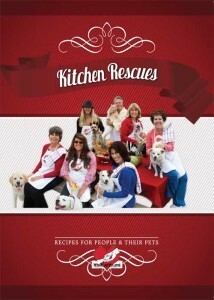 Mix it up and get cooking with WhatCanWe.org’s fundraising cookbook, Kitchen Rescues: A Recipe Book for People and Their Pets. This unique cookbook includes hundreds of yummy recipes from across the country, important resources for pets, and most important photos and tributes to pets – just like yours! Only $25 donation and 100% of the funds raised from this book will benefit animals! All the proceeds will aid animals and licensed animal rescue groups to offset veterinary expenses.